iDebit (www.idebitpayments.com) works similarly to other online banking intermediaries. It allows you to directly pay merchants from your bank account. It is popular in Canada because it works with the Bank of Montreal, Canadian Imperial Bank, Desjardins, National Bank, Royal Bank of Canada, Scotiabank, TD Canada Trust and even Simplii Financial. In addition to being compatible with all major banks, you don’t have to pre-register for an account with iDebit to begin using their service. This means that you can check out as a guest. Not giving away any of your financial or personal information – that what makes iDebit so secure and instant. It’s extremely easy to use iDebit. All you do is navigate to the online merchant’s payment page and select the iDebit icon when checking out. You can then log in to your iDebit account or you can choose to check out as a guest user. You then select your bank, log in with your banking credentials and approve the payment. The payment will be instant and will provide you with confirmation. Your banking credentials stay between you and your bank, so a merchant will never have access to this type of sensitive information. You don’t need to have a credit card since all purchases are made through your bank account and are treated as a debit transaction and all transactions are instant. With transactions being instant, they are completed in real-time. You can instantly see history and balance in your iDebit account. You may also transfer money from one merchant to another without any fees. iDebit uses 128-bit encryption technology. Risk assessments are performed on all information to confirm identity when payments are made. Please keep in mind that you can withdraw funds from your iDebit account to your bank account. But not all countries are accepted for this feature. In order to withdraw funds from your iDebit account, you have to first have one, then provide additional information for confirmation and ensure your bank account is registered. Funds take up to a maximum of five business days to transfer. 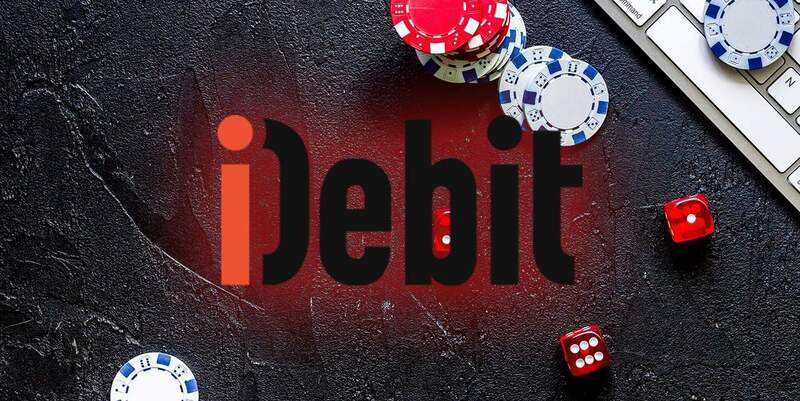 Canadians can use their iDebit account or guest checkout iDebit service with all online casinos that offer online banking as a deposit option. Permitting your bank allows and supports online gambling, there will be no issues with fund deposits or withdrawing your winnings. It is simple – log into your iDebit casino account. Then use the iDebit payment system and make the transaction like you would with any other online merchant. It is available in most popular casinos that accept Canadian gamblers – Jackpot City, Platinum Play, 888 Casino, Spin Palace and others.